and the Internet. There are different types of accounts, so let's take a look at how to use them. 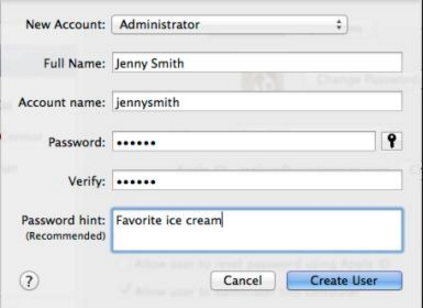 User accounts are designed to let several people have access to a single computer. Each account has its own settings so users can have their own wallpaper, aliases, dashboard, and secure storage forprivate documents. There are any number of reasons for employing user accounts, but on the whole they can be put into two main categories: security and user preference.ln the worst-case scel'tario sf your beloved Mac being lost or stolen, using a properiy secured user account means that your documents and data are safe from prying eyes. Hardware can be insured and replaced, but your personal details in the wrong hands could result in a very unpleasant situation. Here's a guide to each, and which you need. There are four types of user account: Standard; Administrator; Managed with Parental Corıtrols. and Sharing Only. t.et's take a look at each in turn. friends who justwantto check web email, or log onto Facebook and the like. The Guest account will reset itselfwhen the user logs off, so any items saved on the accountwill be deleted. 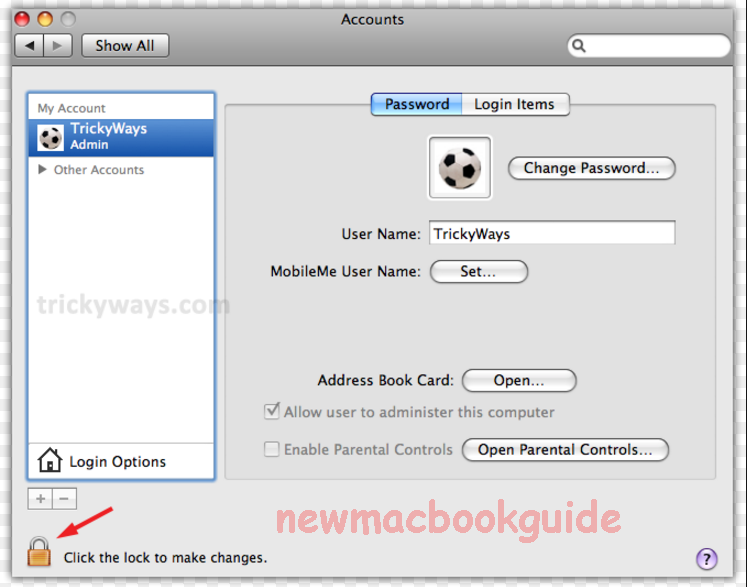 To enable it, select Guest Userfrom the User & Groups windowand toggle the 'Allow users to log in tothis computer', so it shows a tick. As the name suggests, this is the account type that would normally be used. Like the admin account it also allows the userto modify settings, install applications, save documents and so forth, but only for that specific account. them this type of account.